Medics worked on this virus from 1984 to 2013. With no success. In 2002 the Moffitt cancer centre published the cure of all cancers and viruses, using high intensity ultrasound. 2010 I figured out an 8 W 1 MHz ultrasound massage device was the cheapest medically licensed HIUS device. The three medical professors from the Moffitt retired. They had wanted $10,000 for a HIUS device. The beauty people sole them for under 13 UK pounds. 2013 a contact in New York who was HIV+ got in touch. He was his own HIUS device, I applied it for ½ minute to each side use chest and the next week he is GP fall he had discharged him from all Medical Care. His HIV was gone. I've published this work on the Internet. Every medic have bought an 8 W 3 MHz device 2002. To validate the cancer cure. That is why a month ago 85% of cancers were being cured. A week ago 95% of charter cancers were being cured. Not one by medicine. Medics have never cured or cancer. 5% remitted spontaneously. People bought and used their own HIUS device. 2012 medics published the use of HIUS to the top left of the chest and the kidneys to clear coronary heart disease. All registered doctors verified this sounds. Cancer drugs have been criminal medicine for six years. Patients get back all medical fees since the doctors ignore the cancer cure 2002. And insisted on prescribing defective cancer drugs. All medical practice then criminal. For last 60 years all heart drugs have also been criminal medicine. Any prescribing Dr. Struck off the same day. To face criminal trial. Medicating a patient to death he carers a 25 year jail term, and a fine of $16,000,000. No AIDs medication has been legal for five years. Since my contact clears his HIV using a single session of HIUS. Every registered Dr. is legally required to cure AIDs using 1 minute of HIUS. Their device may be even quicker. No biochemical prescription of AIDs medication has been legal for five years. Prescribing medics remove them cells from the medical register. All medical practice then criminal for life. AIDs is not hard to cure. 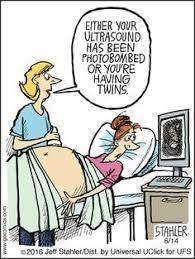 Using the ultrasound device already owned by every registered Dr. on earth. The Hippocratic oath demands use of best medicine. Which for cancers, viral and bacterial infections is HIUS. The world has changed. Doctors, hospitals and drug company is are no longer involved in health.